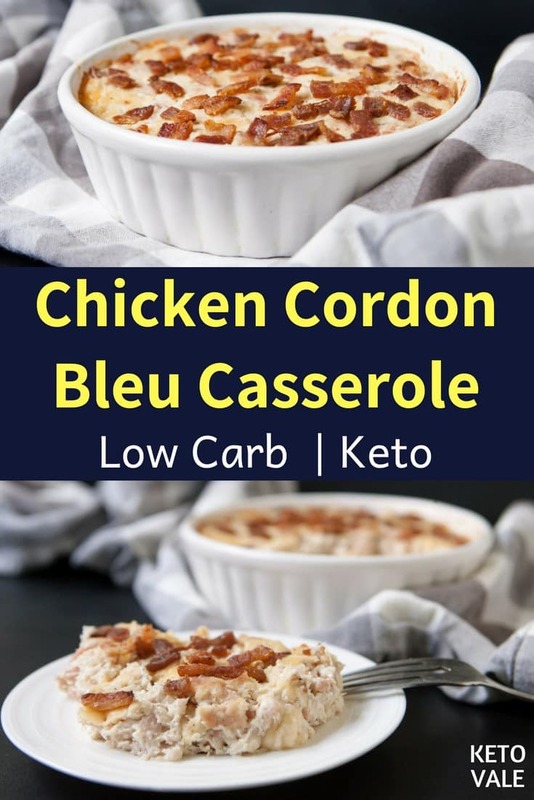 Casserole has two meanings: The metal, heatproof dish with a lid used to cook the casserole dish, which is a delicious dish contains meat, cheese, and vegetables. 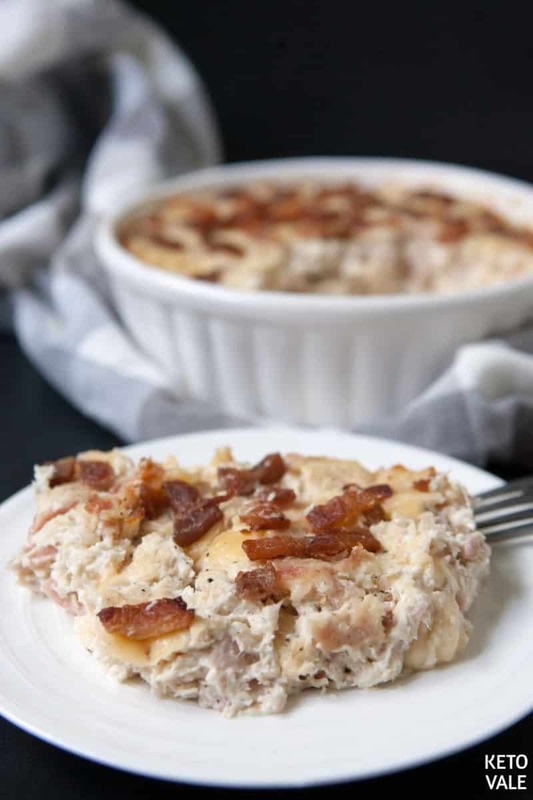 Chicken Cordon Bleu Casserole is one of the best dishes for dinner that would make a great lunch for the next day too. 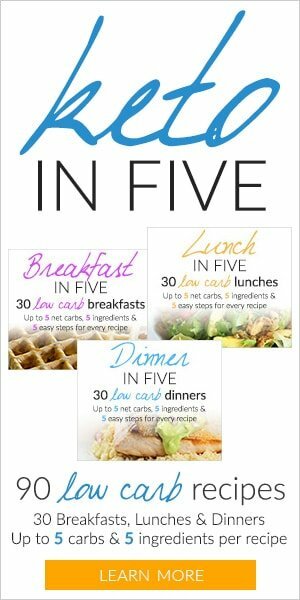 It’s also great for a family and friends gathering. Starting by cooking ingredients and sauce separately, mixing them together, then bake them and it’s ready to serve the guests as it is, right from the oven. 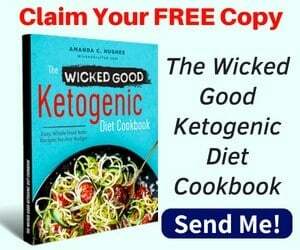 One of the most typical ketogenic recipes where it combines all the ingredients most people love. It also leaves space for your own creativity. 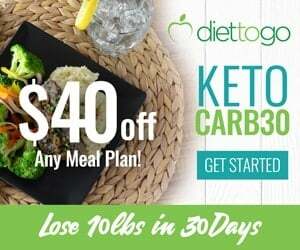 Since keto will require from you to get to know your kitchen and motivate you to become a chef, by following the list of keto foods, this inspires to reconstruct the existing recipe to your own taste. The casserole cookware is also great at reheating, saving water and clean plates by allowing it to cook, reheat and eat from the same plate, in this case, we recommend to buy a new and pretty casserole plate or maybe even a few for various styles of table settings. 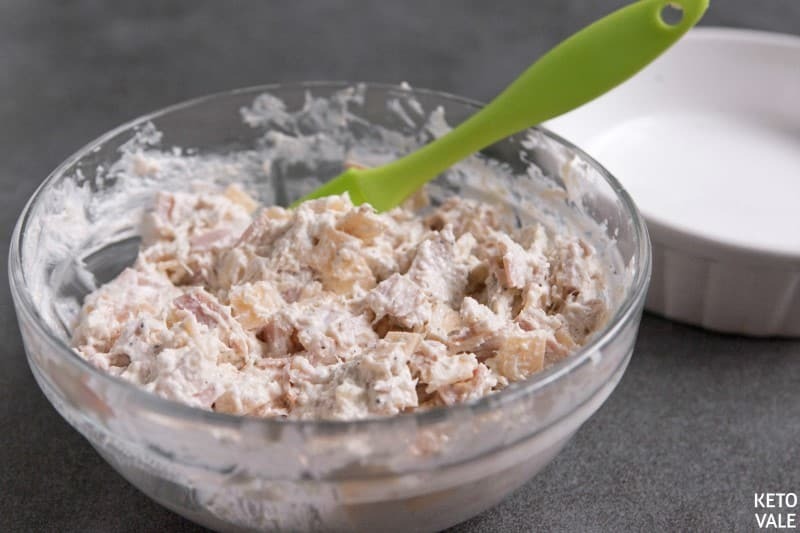 Prepare the ingredients: Shred the cooked chicken breast into small bite size. Dice ham and cheese. Fry bacon strips then chop it into bacon bits. If you want to save time, you can buy pre-shredded cooked chicken breast and cooked bacon bits too. 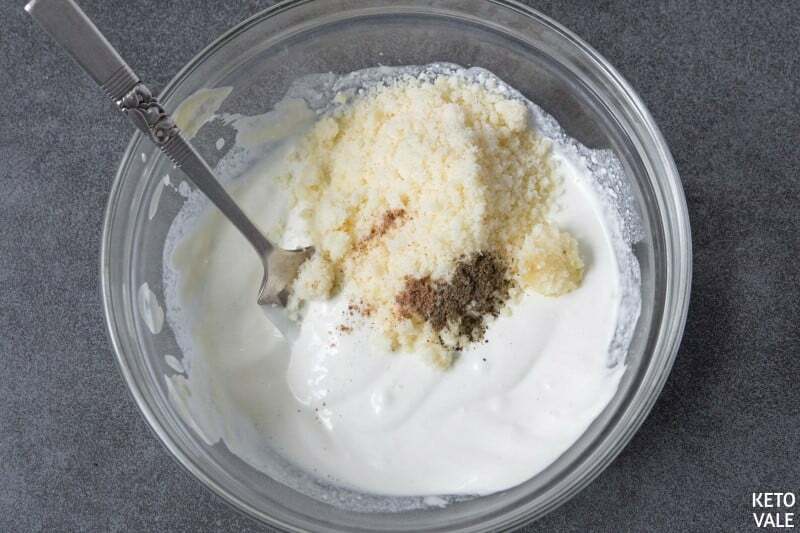 Combine mayo, Parmesan, cream cheese and heavy cream, salt, pepper, and seasonings in a bowl and mix well. 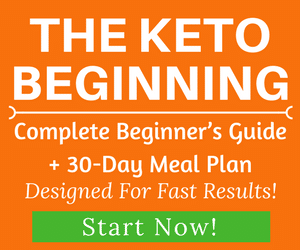 You can also use homemade mayonnaise! In the same bowl, add chicken, cheese, and ham. Mix everything well and pour the mixture into the casserole dish. Top with bacon bits and bake for 25 minutes in a preheated 350 F oven or until golden brown. 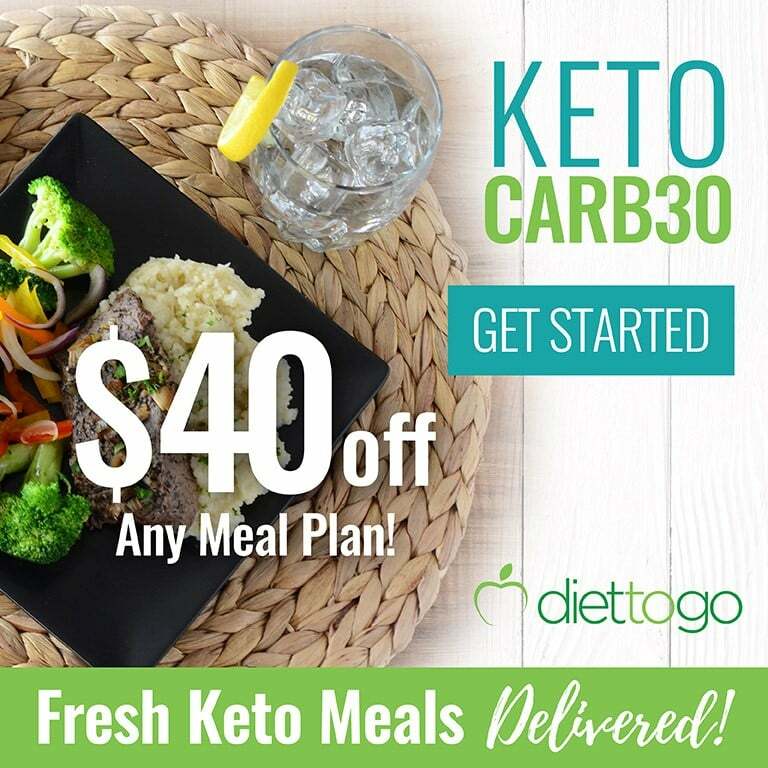 Serve with some lemon juice with a low carb salad or some leafy greens. Dice the cheese and ham, shred the chicken, fry and crush bacon strips. In a bowl mix homemade mayo, cream cheese and heavy cream, add grated parmesan, minced garlic, seasonings and mix until combined. 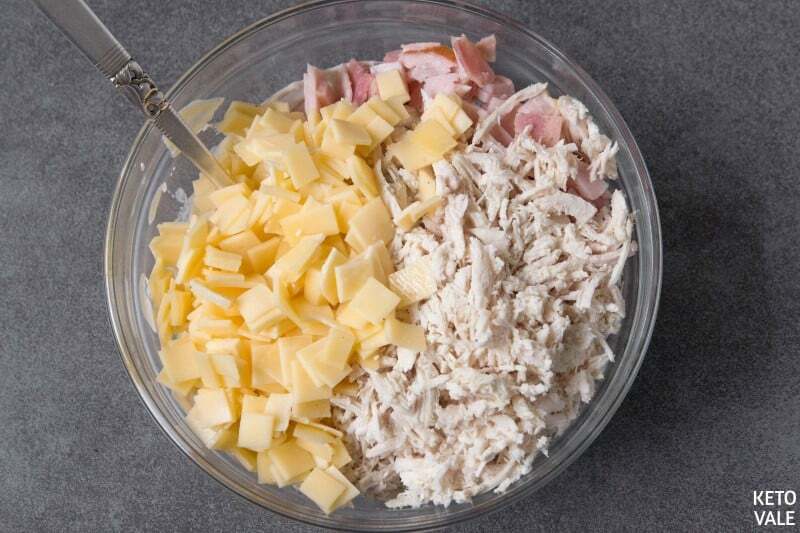 To the same bowl add shredded chicken, diced ham, cheese and stir well. 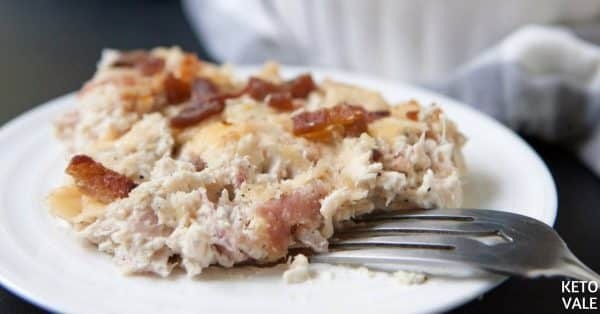 Transfer the mixture to the casserole dish, sprinkle with crushed bacon and bake for 25 minutes or until slightly brown. May be served with some leafy greens.